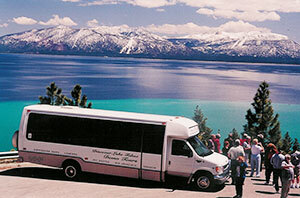 Based at Lake Tahoe, we have years of insider knowledge and the right local relationships to best stretch your dollar. With our cool offsite venues, we will create the most colorful fun experience for your group incentive trip, wedding or large scale event. Some say it’s our high-altitude passion while others point to our spirited teamwork, let us take care of every detail to reflect your personality so you can experience Lake Tahoe like never before. First we listen. Next we activate our keen Lake Tahoe insights to customize your event. We’re on your team every step of the way. We specialize in making ideas work at Lake Tahoe. With close attention to cost and value, we offer the best choices for technology needs, lodging, meeting space, entertainment, transportation and recreation. Our stress-free fun approach is a reflection of our Lake Tahoe lifestyle. With an eye for detail, we’re your professionals to deliver an unforgettable event experience. Why do our clients continually use us for Lake Tahoe Corporate Event Planning? Simple…we specialize in making ideas work at Lake Tahoe. We are on your team every step of the way! Blue Sky specializes in planning todays modern wedding, with a high level of organization and creativity. Start planning your Lake Tahoe Wedding now! Planning an event in Lake Tahoe? 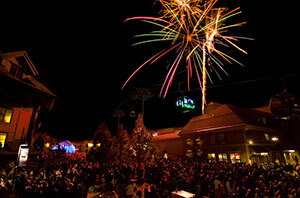 Choose the leading Lake Tahoe Event Management team to make your event a success!